WASHINGTON — Congress should not approve any money for restoring diplomatic relations with Cuba until convicted cop-killer Joanne Chesimard is returned to the U.S., three New Jersey Republican federal lawmakers said today. U.S. Reps. Scott Garrett (R-5th Dist. ), Leonard Lance (R-7th Dist.) and Tom MacArthur (R-3rd Dist.) made the request in a letter today to fellow Republican Rep. Kay Granger of Texas, who chairs the House Appropriations subcommittee that approves spending on foreign operations, and the panel’s ranking member, Rep. Nita Lowey (D-N.Y.). “Any attempt by the Obama administration to normalize relations with Cuba must include the extradition of Joanne Chesimard back to New Jersey so that she can face justice and serve out her sentence,” the lawmakers wrote. “Until Cuba accepts this condition, we request all funds directed toward normalization be withheld. Today’s letter is the latest attempt by the New Jersey congressional delegation to make Chesimard’s return a condition of resuming diplomatic relations with Cuba. U.S. Sen. Robert Menendez (D-N.J.).told Secretary of State John Kerry in a letter last month that Chesimard and other fugitives must be extradited before Cuba is removed from a list of state sponsors of terrorism. Chesimard escaped prison and fled to Cuba after being sentenced to life imprisonment for the 1973 murder of Trooper Werner Foerster during a gunfight. Chesimard and other members of the Black Liberation Army had been stopped by State Police on the New Jersey Turnpike. In 2013, she became the first woman on the FBI’s list of most wanted terrorists. The calls for Chesimard’s extradition have grown louder since Obama in December announced a “new approach” to Cuba, which has been under a U.S. embargo for a half-century, and said he would easing economic restrictions and move toward re-establishing diplomatic relations with the communist regime. Excellent point.I bet anything,that the alcoholic dictator Raul Castro is not going to accept because he does not care to have legitimate relations with the US. Raul Castro put pressure to get his spies returned to the Island. Now he wants to continue putting pressure the same way the Soviets used to do,negotiating from a position of strength. Why? Because he is trying to see how much can he gets until he reaches the point of no return. Raul’s next move.Gitmo naval base.Why? because he knows that Venezuela is not strong enough to be there for a decade and the Cuban economy needs to be subsidized in order to survive. Raul is already thinking of renting the Naval base,if the base end up in his hands of course, to the Russians.The hell. I call them Soviets. If Castro rents the base to the Russians,there is going to be more cooperation between the two countries in a more profound way and there is going to be more room for the Cubans to gather better intelligence from the US to sell to terrorist countries because the fruit of this Russo-Cuban relationship that Raul is foreseeing will involved technology.A better technology to enhance espionage capability. It makes me vomit, to actually hear that POLITICIANS IN THE STATE OF NEW JERSEY, A STATE WHICH BY A RECORD OF CHRONOLOGICAL HISTORICAL FACTS IS CATALOGED AND EVIDENCED TO BE ONE OF THE MOST CORRUPT STATES IN THE POLITICAL HISTORY OF OUR NATION AND HAVING HAD seven “ACTING” Governors in its past recent history, serving in the Governor´s Mansion of New Jersey due to corruption charges filed against seven Governors during a period of time expanding the past twenty years, even a U.S. Congressman named Torricelli–who coincidently–crafted and put his own name on the Cuban Trade embargo legislation and who was later forced to resign under a widespread enormous political scandal of corruption charges. He no longer is a Congressman This same State is where Assata Shakur was unfairly tried and judged by an ALL WHITE JURY and now wants her back in New Jersey to make Governor Christie´s polls rise on such an occurrence. I sincerely believe no one who has been in political office from the State of New Jersey, is apt, or should be elected to the Oval Office as President of the United States. IT WOULD BE A DISASTER. Governor Christie is from the State of New Jersey and in my opinion it would be a disaster to elect him as President of the United States. With this Assata Shakur nonsense he has just cancelled himself of that possibility. Please someone let him know he is wasting his time if he thinks this will help his flawed idea to become a President of the United States from the political position of Governor of one of the most corrupt states in political history of the United States of America. God spare us of such a disaster. Here´s what Assata Shakur´s attorney had to say about the unfair trial this black woman underwent during the days of the reign of J.Edgar Hoover “Director of the FBI for Life”, in a U.S. court of law that made a similar unfair determination and equally unjust as the recent grand jury investigations conducted of the killings that have very recently been conducted in 2014 by policemen in the United States of America, which has serve to create widespread chaos, agony, disgust and widespread civil unrest in this nation. 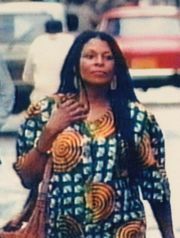 “As a member of Assata’s New Jersey trial legal defense team, and her appeal lawyer, I think a correct statement of the circumstances of New Jersey Trooper Werner Foerster’s death as established by exhibits, trial testimony and forensic evidence and that conclusively repudiate the revisionist lies now being advanced by the State of New Jersey as “fact”, need to be repeated. It is to be remembered that the only surviving eyewitnesses to the NJ Turnpike shoot-out were (1) Sundiata Acoli, (2) Trooper Harper, (3) Assata and (4) the driver of a car traveling along the NJ Turnpike at the time of the incident. Zayd Malik Shakur, a passenger, was killed during the shootout. ALSO, the City of Detroit Council members drew-up a resolution in support of this woman and you also must read this to get the facts and know morebefore you opine. Far to many cases of injustice are being committed in U.S. Courts and later reversed and this is the case here as well tried during a time when black and white divisionism and racism in this nation was rampant as it is today in 2014. That the City Council for the City of Detroit proclaims its support for “International Hands Off Assata Day” on Sunday, July 17,2005. Let us not asume that because a U.S. Court of justice tried this woman was tried fairly and judged by what was an ALL WHITE JURY. I want people in this forum who think to know what this woman has expressed. Now, let us examine what this nation did with the murderous officers of the SS who were gultiy of having killed 6,000,000 jews duriung world war II. We have them save harbor and are now questioning Cuba for giving one woman of black color who was persecuted by issue of racism and wherein the facts prove she did not kill a police officer except a police officer shot her companion killed him and injured her. Officers from the Hitler´s SS where part of “Operation Paperclip” which was from the Office of Strategic Services (OSS) program in which over 1,500 German scientists, technicians, and engineers from Nazi Germany and other foreign countries were brought to the United States for employment in the aftermath of World War II. It was conducted by the Joint Intelligence Objectives Agency (JIOA), and in the context of the burgeoning Cold War. One purpose of Operation Paperclip was to deny German scientific expertise and knowledge to the Soviet Union and the United Kingdom, as well as inhibiting post-war Germany from redeveloping its military research capabilities. To circumvent President Truman’s anti-Nazi order and the Allied Potsdam and Yalta agreements, the JIOA worked independently to create false employment and political biographies for the scientists. The JIOA also expunged from the public record the scientists’ Nazi Party memberships and regime affiliations. Once “bleached” of their Nazism, the scientists were granted security clearances by the U.S. government to work in the United States. Paperclip, the project’s operational name, derived from the paperclips used to attach the scientists’ new political personae to their “US Government Scientist” JIOA personnel files.